My Bargain Basket: Free Reusable Bag w/ purchase of 2 Kellogg's cereals -- CUTE! 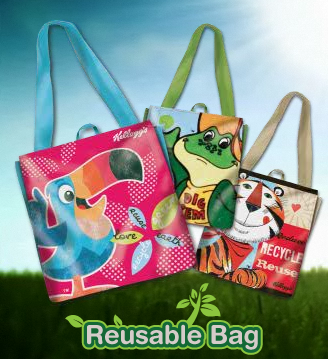 Free Reusable Bag w/ purchase of 2 Kellogg's cereals -- CUTE! You can also enter here for a chance to win a 2011 Ford Fiesta. You will need to log in or register to All-K. Thanks Who Said Nothing in Life is Free for heads up on the bags!